Like many Canadians, I wasn’t overly fond of Argo‘s version of history. 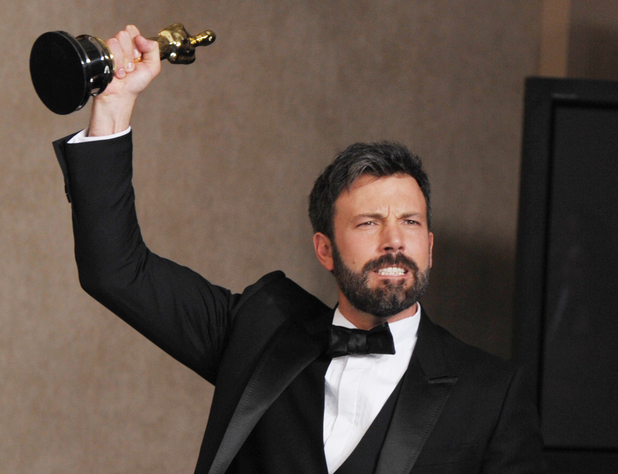 As Hollywood is wont to do, Ben Affleck played fast and loose with facts to create a silver screen friendly narrative. In the case of Argo, it meant shrinking Canada’s role in rescuing American diplomats and enlarging the CIA’s. Contrast this to Zero Dark Thirty, which dramatized the events surrounding the hunt for Osama Bin Laden. In the case of ZDT, the problem is that much of the information around Bin Laden’s death is very confidential – the names of those involved haven’t even been released – so there is obviously a lot of speculation. Not to mention a streamlining of chronology in order to fit a two hour movie. I can appreciate the need to manipulate facts into order to serve narrative. Moreover, I’m sympathetic to the oft repeated maxim “facts don’t tell the whole truth.” In order to understand history we must sometimes fictionalize it. However, we must ask what forces are at play when the facts do become changed. To what end does it serve? Artistic or political? Whenever these questions arise, the impulse is to frame them as a moral problem: Do we owe it to history to be accurate? Honestly, I’m not entirely interested in that. What I’m more interested in is looking at the function of rewriting history. In the case of Argo, we see a rewrite that contributes to the American mythos as global saviors. The grand Pax Americana myth that, though America may create many of the world’s problems – installing despots like the Shah in Iran – they’ll be damned if they won’t solve it. The world is America’s to save or destroy. Everyone else can only have a supporting role. On the other hand, ZDT rewrites history in order to consider the significance of the hunt for Bin Laden. On the surface, killing Bin Laden was seen as a triumph; Republicans actually protested ZDT’s release date, claiming it was a liberal conspiracy to sway the American election toward Obama. However, I would argue that ZDT subverts the mainstream narrative of Bin Laden’s death. Unlike Argo, ZDT deconstructs American mythologizing. The significance of this difference is played out in the critical reactions to both films. Argo, of course, went on to win the Oscar, Hollywood’s biggest prize. Coincidentally, the only people who seemed to have a problem with its historical inaccuracies were the countries misrepresented: Canada, England, New Zealand, and Iran. These voices were dismissed as shrill nitpickers. Who gets their history from Hollywood anyway? It’s just a movie. Conversely, ZDT was attacked from all sides. Conservatives claimed filmmakers had undue access to confidential material. Most notably, though, liberals accused Kathryn Bigelow of being a torture apologist. Ultimately, what began as an Oscar favourite lost its momentum leading up to the awards, coming away near empty handed. The lesson? It’s OK to manipulate facts and history so long as it serves American mythologizing. Don’t get me wrong; Argo is a fine film. I really enjoyed it. Furthermore, aside from lazy depictions of Muslims as a bunch of fanatics, I was on board up until the very end. Argo’s ending, in summation, is this: the reason why Canada got so much credit for the diplomats’ rescue was because the CIA wasn’t allowed to declassify its information. In a heroic gesture of ultimate humility, the CIA allowed Canada to have the glory, but, we all know who the real heroes were *wink*wink*. Here we see how narrative is constructed to serve a nationalistic myth. Sure, America may clumsily shoehorn its way into international politics, ravaging economies; but in the end, it will still ride off into the sunset. Conversely, ZDT undermines this heroic myth. Certainly, what these Marines did was brave, and the actions of the CIA were, on occasion, courageous. But it was not heroic. Instead of riding off into the sunset, Maya, the film’s protagonist, is broken and empty. Bin Laden’s death is purposefully anti-climatic. The audience can’t help but wonder: Was it even worth it? Torture, of course, plays an important role in the hunt for Bin Laden, according to ZDT. The precise role torture played in actual fact is irrelevant. Why? Because the criticism against ZDT’s portrayal of torture has nothing to do with fact; it is part of American mythologizing. Torture is as immoral today as it was during the Inquisition. Yet, we have continued to use it in counter-insurgency. Despite Obama’s promises, he hasn’t shut down Guantanamo. Furthermore, for the first few years post-911 we were all aware that torture was going on. It’s only now that the discourse has shifted. The policy now is that torture isn’t effective and that there are other more useful techniques. I think ZDT shows this; they get little information from tortured detainees, and seem to really get the ball rolling once they give it up. However, now that the narrative has changed, torture must be relegated to the scrap heap. We must sever ourselves from it. It cannot contribute. Torture must neatly packed away, dismissed, and repressed. Abhorrent behaviour must be isolated and excised from memory. It must be quarantined. It is reclassified as the uncontrollable actions of a few individuals, if it is to be acknowledged at all. However, its place in the grand march of progress must be removed. It is not part of our present. Ironically, ZDT has been labeled propaganda. It is actually the opposite. ZDT reminds us that torture is part of our history, part of our present, and that’s why its narrative is unacceptable. Argo, on the other hand, is closer to what we may call propaganda. Argo’s usage of history is to mythologize, whereas ZDT’s is to subvert. ~ by braddunne on March 31, 2013. Well put, Brad. I agree with a lot of the points you made. Keep them coming.